The authors describe a case of medicine in disguise: seized tattoo inks containing lidocaine and tetracaine at high concentration. Identification of anaesthetics was performed by LC MS Q-TOF with ESI+ source, by accurate mass measurement and by comparing the fragmentation patterns of molecular ions, at 30 V and 10 V of collision-offset voltage, with reference standards. Industry Significance Rating: High - Industry alert, report has major implications related to health and safety. Publication: Talanta. Volume 198, 1 June 2019, Pages 337-343. Authors: Livia Manna, Maria Cristina Gaudiano, Monica Bartolomei, Luisa Valvo, Paola Bertocchi, Eleonora Antoniella, Andrea Luca Rodomonte. Due to reports that some tattoo inks containing anaesthetics may be available over the internet, Livia Manna et al. from the National Centre for the Control and Evaluation of Medicines, Italian National Institute of Health, Viale Regina Elena 299, Rome Italy, tested some seized inks samples of inks and found that they contained 5% Lidocaine and 2% Tetracaine in "therapeutic-like dosage". Typically these types of anaesthetics are used sparingly prior to minor surgical procedures under medical supervision or in some instances user based topical applications, however it needs to be stressed that higher serum levels of anaesthetics can be achieved via injection as compared to topical application and the addition of anaesthetics to tattoo inks would result in direct intradermal application of the anaesthetic components. The authors point out that with the adulterated tattoo inks that they tested the maximum permitted levels of lidocaine would be reached for a tattoo of just 17 cm2, Tetracaine is potentially more toxic and even though the concentration was lower it could also present a serious health risk for tattoo recipients prompting them to label the inks as a "kind of medicine in disguise" and they recommended that Official Medicines Control Laboratories should incorporate tattoo ink screening procedures for anaesthetics. Local skin irritation or rash. Generalised bluish or brownish discolouration of the skin. Tremors, anxiety, confusion, fainting or seizures. Irregular heart-beat or much slower or faster than normal heart-beat/pulse. Heart block / cardiac arrest. Difficulty breathing or sudden onset of a cough. Also at present there does not appear to be any published safety studies regarding the possible interactions between anaesthetics with other tattoo ink ingredients and the sources and purities of the anaesthetics that adulterated the seized inks is completely unknown resulting in the researchers describing these types of products as a serious health risk. Avoid any tattoo ink that purports to contain any anaesthetic substances. 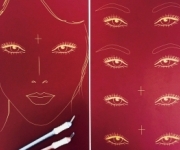 The Education Team here at CosmeticTattoo.org keeps a close eye on the scientific and medical literature for new publications relating to cosmetic and medical tattooing that may be of interest to our our members. 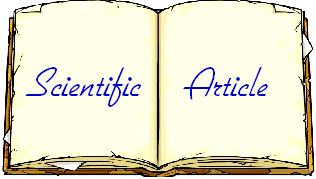 The intent is to alert industry members to important publications within the literature to expand the knowledge base particularly in relation to high impact reports. NB. CosmeticTattoo.org does not host this publication on our server we merely provide an overview with links to the publisher, the authors and their publisher hold copyright to the actual article. If you know of an article that you think should be added to the database you can notify the Admin Team by clicking here.